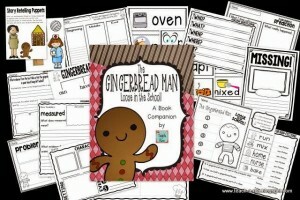 You are here: Home / Back to School / The Gingerbread Man: LOOSE in the SCHOOL!!! OH NO! 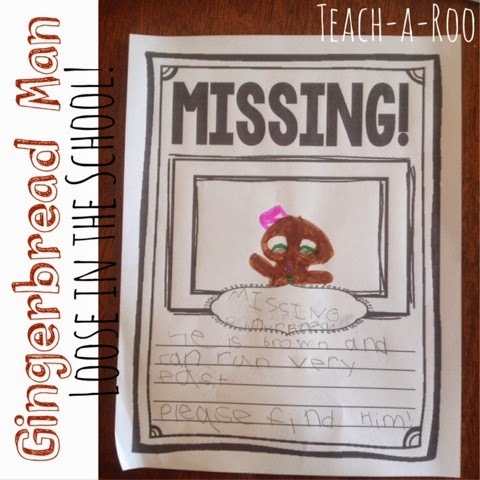 The Gingerbread Man is LOOSE IN THE SCHOOL!!! Not, really, he is just looking for the kids that made him. 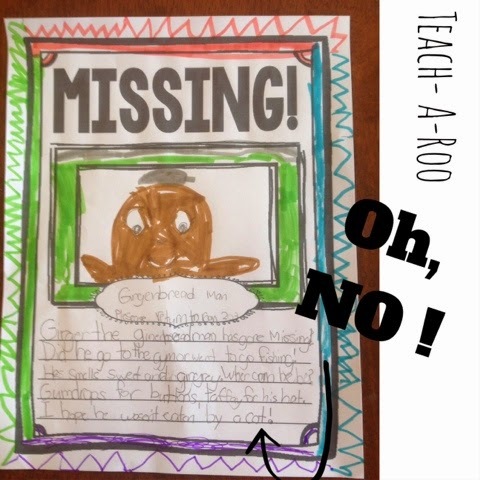 The Gingerbread Man – Loose in the School by Laura Murray is a terrific book for the beginning of the year, or anytime you want to add a little gingery fun to your classroom. It is written in a fun graphic novel style with almost retro feeling artwork. 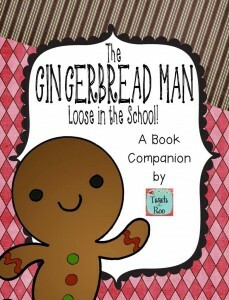 The story unfolds as a brand new gingerbread man is left behind by the children who made him. He just wants to play, so he sets out around the school to find them encountering many school staff along the way. 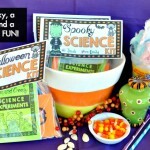 I love this book so much I made a little companion pack to go with it. 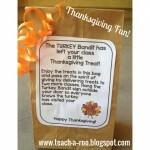 It is based on the Common Core State Standards, but can be easily used by teachers who aren’t core states. 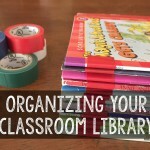 It is just chock full of great graphic organizers and fun activities that would be great in the beginning of the school year! The “Missing” poster is my FAVORITE! They always are so cute!! I just LOVE this book! 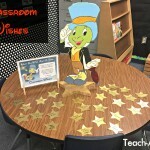 I “almost” can’t wait for school to start! 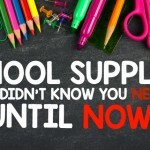 What are some of your favorite back to school books?